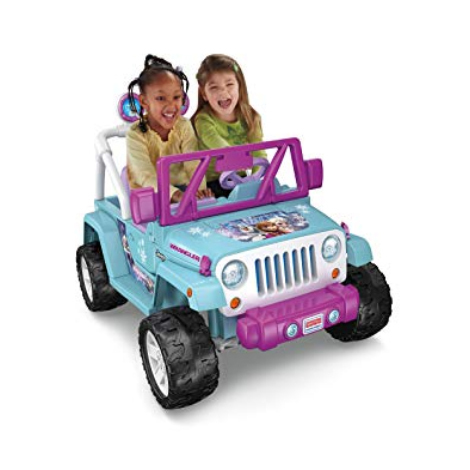 The Fisher-Price Dune Racer, which has been selected as one of the best power wheels on the market, was designed to drive over different types of terrain, including gravel, pavement and even wet grass without getting stuck or slowing down.Overall, this vehicle has a longer life, if compared to other power wheels and has a warranty of approximately 1 year. 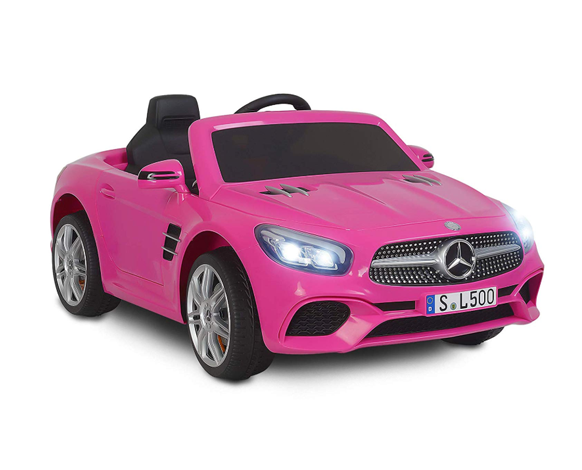 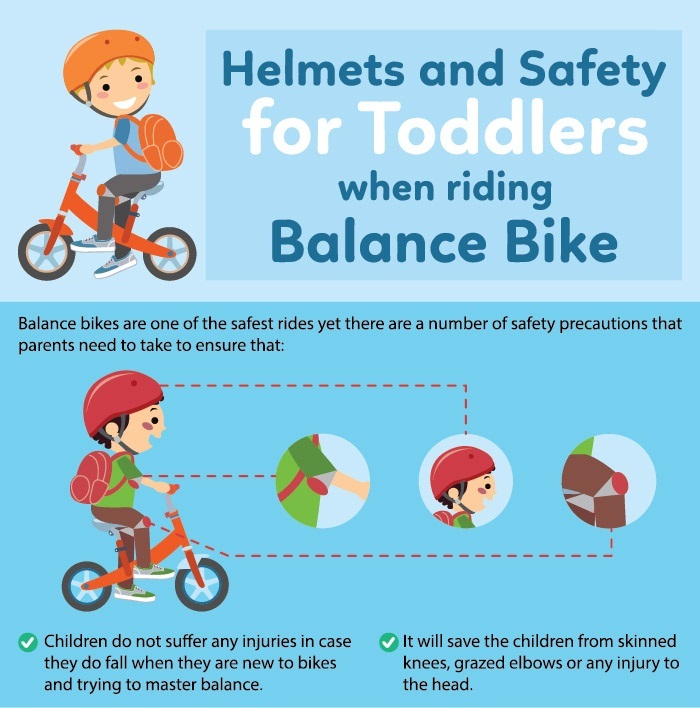 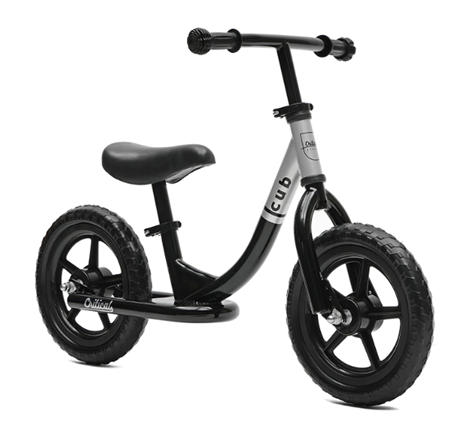 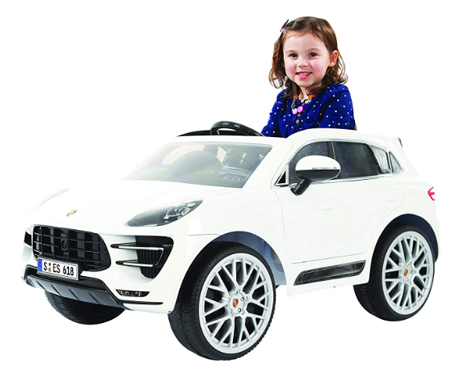 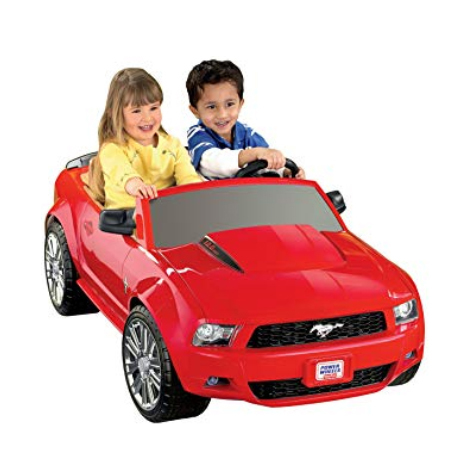 Some of its features include metal bars on the sides to provide support for the vehicle itself as well as for anyone riding it, a 12-volt battery and charger, and leg room comfortable enough for older children, even though the vehicle is designed for those between 3 and 7 years of age. 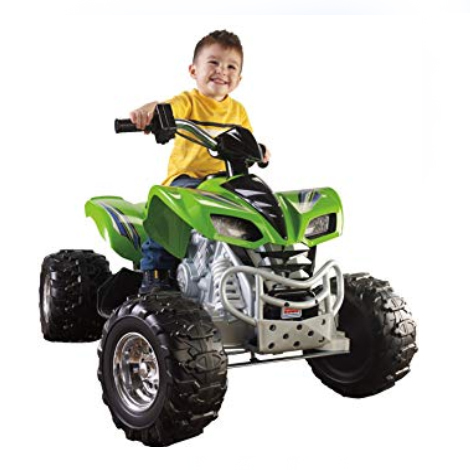 Another favorite has been the Green Kawasaki KFX, which looks just like a real-life four-track. 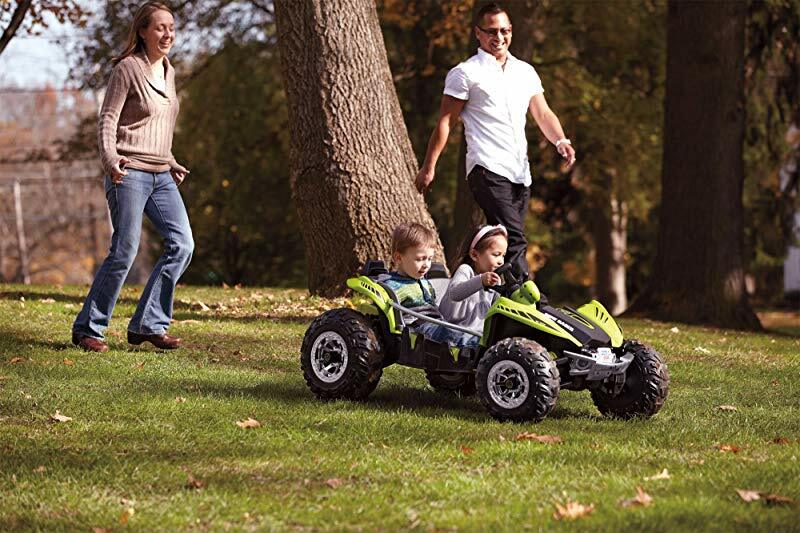 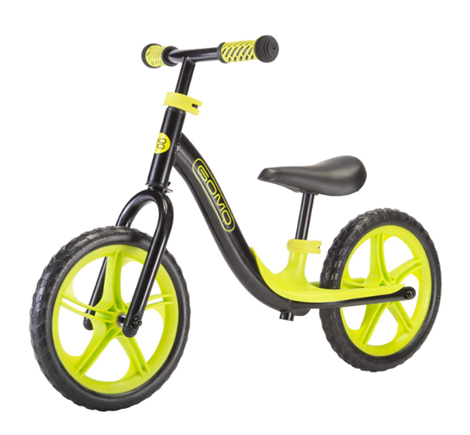 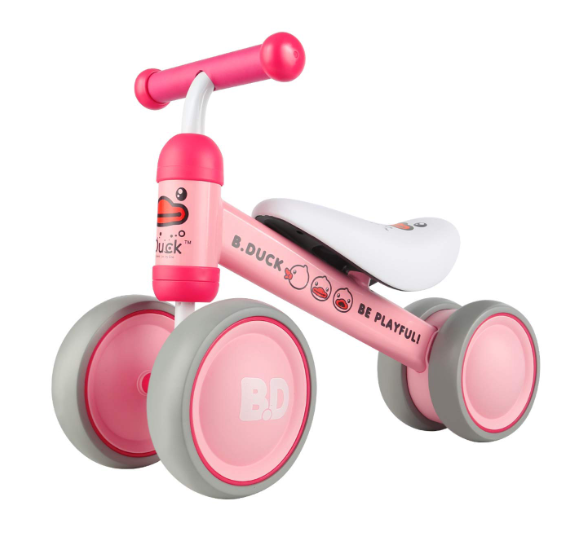 With its unique style, this green power wheel is going to allow your child to drive energetically all over your yard. 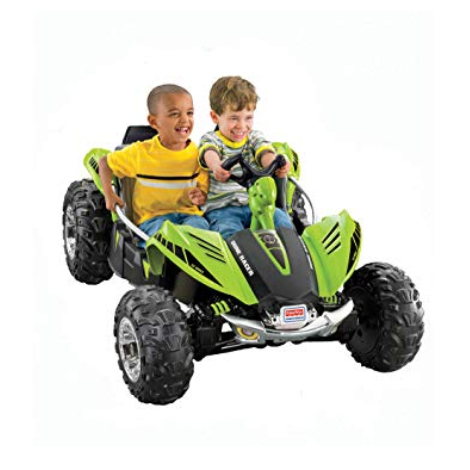 Like a real ATV, this toy allows you to shift gears using a throttle right on the handlebars. 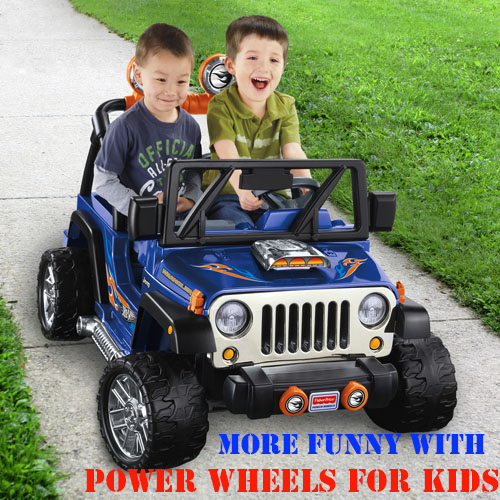 The only difference between the real four wheelers and this one is that speed is achieved by pushing down on the gas pedal rather than a button on the handlebars. 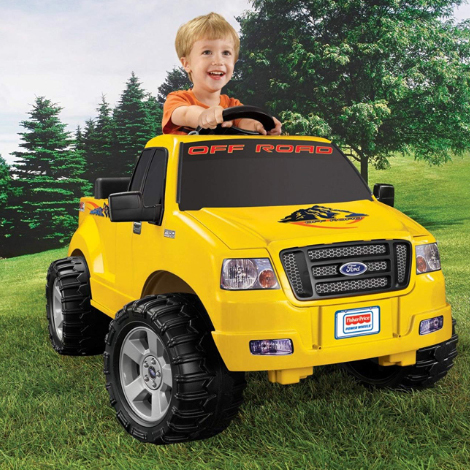 It’s easy to turn and maneuver and its large wheels provide traction to go over rough and smooth terrain. 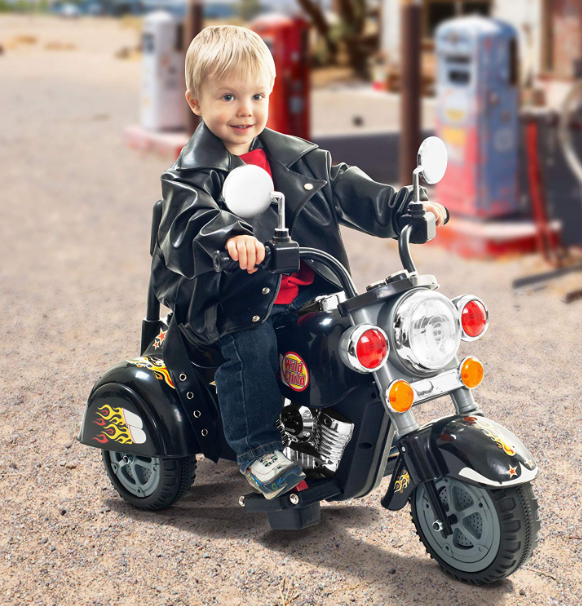 It’s designed with a safety braking system to stop if there’s no longer pressure on the throttle.